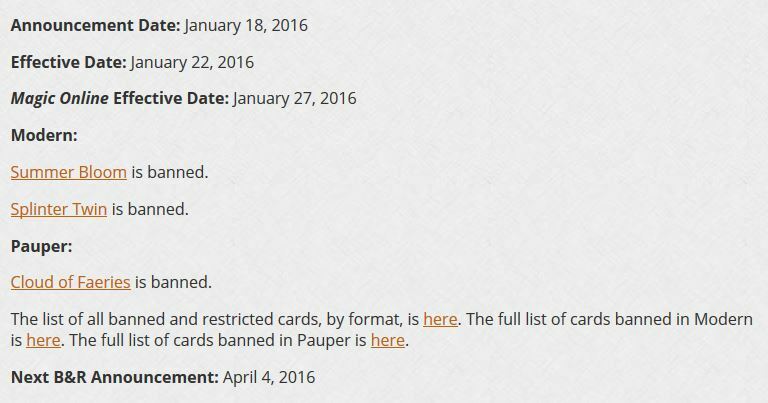 Last Saturday, numerous Magic players woke up to surprising news: the sudden release of the latest Banned & Restricted announcements. The story goes that the MTGO Beta team enforced these updates, yet they hadn’t been announced yet on the Mothership. With the internet being what it is these days, it took all of a few milliseconds for this information to hit Reddit, then Twitter, and then the world. Wizards had no choice but to acknowledge the mishap by reporting the changes. Talk about impactful! After the pro-tour this weekend, we will be in the thick of Modern season. With Bloodbraid Elf and Seething Song being banned, people are looking for the next best deck, and are buying accordingly. There have already been several Modern cards that have skyrocketed (sometimes inexplicably) in price, so I’ll identify some other cards that have the potential to do the same. First, let’s look at some of the Modern cards that have shot up in price in the past month. I’ll start off with the great puzzler of them all: Marrow-Gnawer. This card has risen from a mere $5 to being worth almost $15 virtually overnight. What can I say; I guess Ogre Slumlord was the card that put Marrow-Gnawer over the top. Or maybe Marrow-Gnawer was underpriced all along and has enough casual appeal to sustain this new price tag. Whatever the reason, I was happy to ditch my copies for $11 to get out while the price was still high. Cryptic Command has gone up 59% in a month; from around $22 in January to its current $35 price tag. This card is used most notably in Scapeshift decks, but can also be found in Splinter Twin and in a variety of control decks. Its necessity in Scapeshift, combined with its utility in other decks, explains its price increase. $7) have all increased because of the new W/U/R American Midrange deck that won back-to-back online PTQs a few weeks ago. This deck has continued to place fairly well in the subsequent PTQs, so expect these cards to maintain their value. Karn Liberated has been the big winner so far, as its price has nearly tripled when it gained $24 jumping from $15 to its current price of $39. The Tron deck plays a full four copies of Karn Liberated, and it is the centerpiece of that deck. Many people are expecting this deck to become a big player now that its worst match, Storm, has been eliminated from the metagame. Karn had been slowly creeping up in price, but really took off after the bannings were announced in Modern. People being keen to play this deck also help explain why Oblivion Stone and Grove of the Burnwillows have seen modest price increases as well. Birthing Pod, like Karn Liberated, is also the centerpiece of a deck (two decks, actually: Kiki-Pod and Melira-pod), and they also play the full four copies of Birthing Pod. 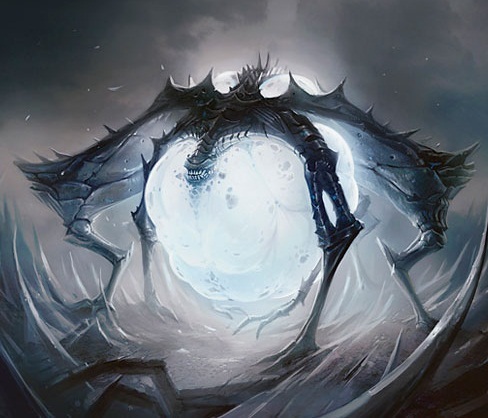 Now granted, Birthing Pod has seen print in an Event Deck, but the fact remains that people who want to play this deck must obtain four copies of the card. The increased availability from being printed in an Event Deck is offset by the fact that the card was originally printed in the 3rd set of a block, so not as many packs were opened of New Phyrexia compared to the 1st and 2nd sets in drafts. Birthing Pod, at its current price of under $4, is a steal. Splinter Twin is another sub-$5 card that is the focus of a tier-1 deck. 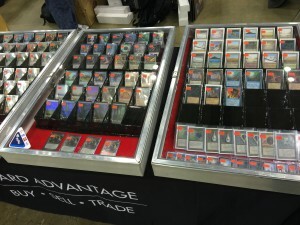 Twin decks also play four copies of the card, which increases the demand for it. Splinter Twin has already seen a modest increase of a dollar, but I feel the true price ascent is yet to come. As cards across the board for Modern are going up in price, I find it hard to believe that Birthing Pod and Splinter Twin won’t soon follow suit. The last card I was going to write about was Spellskite; unfortunately, this article comes a little late to the party on that card. Between last week, when I planned what I was going to write about, and this week, Spellskite has increased by $5: from $4 last week to now over $9. This is more of a utility card, but it is so universally found across many different decks that it was primed for a price increase. Most Twin and Pod decks play a copy or two of Spellskite in the maindeck, with extras in the board. In addition to that, Spellskite is also among the most valuable sideboard tools at combating not only Twin decks, but also Burn decks as well. Since it is colorless, any deck that wants the attributes Spellskite provides can play it without hesitation. Because of both its effectiveness, usefulness in a variety of situations, and the fact that any deck can play it, I figured that Spellskite was due to rise in price. Hopefully this article gives you some food for thought as the rest of the Modern season plays out.